PUBG: you may have heard of it before. In fact, we’re fairly sure you’re probably playing it while you read this, but you may want to just take a moment between games to check out what is coming your way if a current beta build of the game is anything to go by. 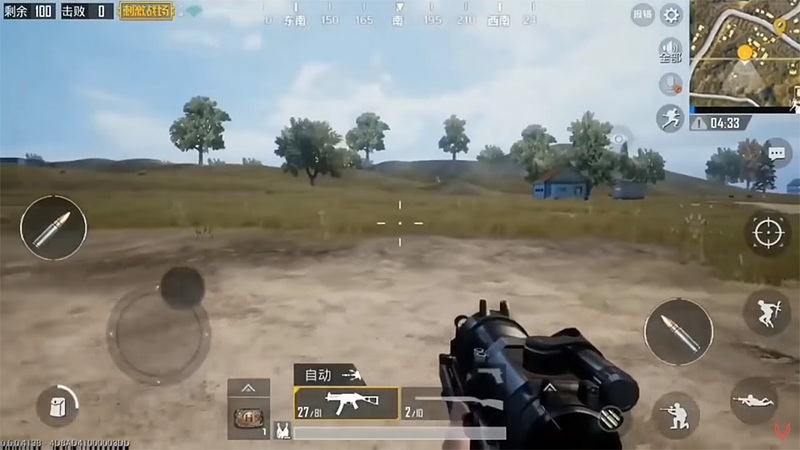 According to a new video shared by YouTube channel Viiper Gaming, Chinese beta testers of PUBG 0.6.0 are enjoying a feature that many have been wishing for – first-person gameplay. PUBG Mobile started as, and still remains, a third-person shooter, something that you either see as a huge positive or a frustrating negative. Now, it looks like we can expect first-person PUBG Mobile at some point in the future, and if this video is anything to go by, it’s going to be pretty great. The beta build of Lightspeed and Quantum Studio shown in the video is only available to Chinese beta testers at the moment and carries version umber 0.6.0. China tends to be ahead of the worldwide release schedule anyway and is currently running at version 0.5.x whereas those of us playing internationally are stuck using version 0.4.0. That may suggest we have a little while to wait before we get the first-person hotness, although it is, of course, also possible we could skip version 0.5.x entirely. Here’s hoping that we don’t have to wait too long before being able to snipe people in first-person perspective! If you’re playing in China, then it’s likely you’ll get the chance before international PUBG gamers, so be sure to keep an eye out for an update at some point in the future. PUBG and Fortnite are the hottest topics in mobile gaming right now and we cannot wait to see how the two games improve given the breakneck update rate the respective developers continue to stick to.